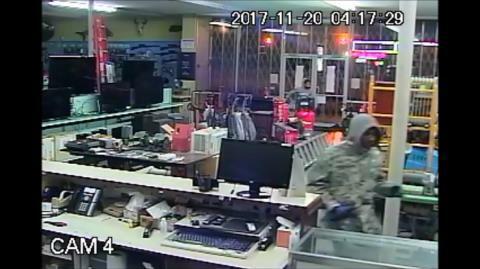 DECATUR, Ga. – The Bureau of Alcohol, Tobacco, Firearms and Explosives (ATF) and the National Shooting Sports Foundation (NSSF), the trade association for the firearms industry, are seeking information leading to the arrest and conviction of those responsible for the burglary and theft of nine firearms from Candler Road Pawn Shop, in Decatur, Georgia. ATF is offering a reward up to $2,500, which will be matched by the NSSF for a total reward up to $5,000. "We take this crime very seriously," said SAC Wayne Dixie. "There are nine firearms on the streets, with the strong potential of being sold to and used by other criminals. Firearms trafficking is a serious offense which results in significant federal prison time for the person or persons responsible." 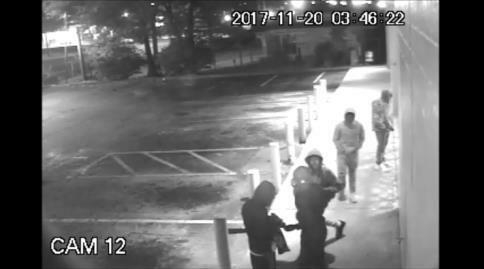 This theft of firearms occurred in the early morning hours on November 20, 2017, at 1890 Candler Road, Decatur, Georgia. 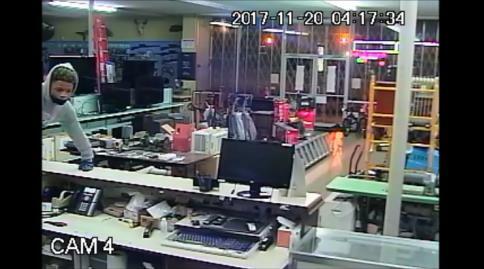 Five unknown subjects forced their way into the pawn shop and stole the firearms and electronics. The group arrived in a U-Haul van and a black, four-door sedan. The nine firearms pose a potential danger to citizens’ communities and quality of life. ATF is soliciting the public’s assistance with any information that leads to those responsible for this crime. Anyone with information about this crime should contact the ATF Gun Hotline at 1-800-ATF-GUNS (283-4867). Callers may remain anonymous, and anonymous reporting can be done via the ATF App Reportit.